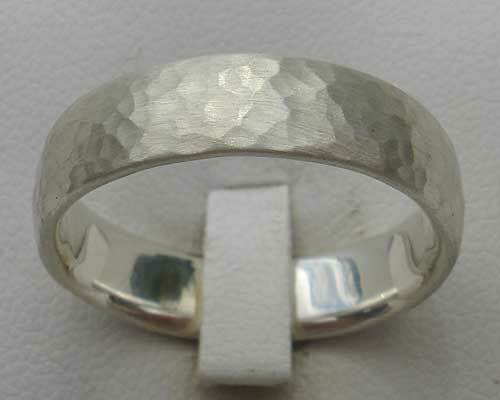 Domed Beaten Silver Wedding Ring : LOVE2HAVE in the UK! This UK made ring is quite a chunky silver wedding ring with a very rounded profile shown here in a 6mm width. It comes made from solid sterling silver just like all our other silver rings. The silver has been beaten gently by hand using traditional jewellers bench methods to give it its attractive urban hammered matte finish. The inner surface is polished smooth for added comfort fit, and it has a wall thickness of 2mm. 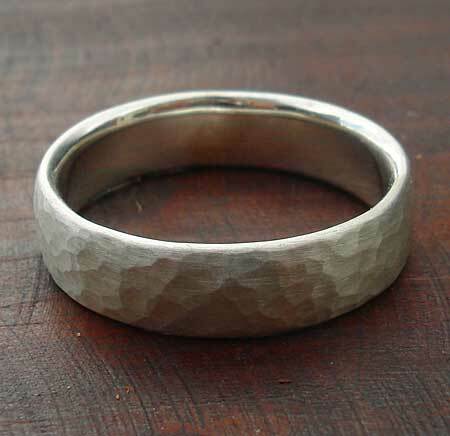 Like all of our hammered rings, this ring makes a great silver wedding ring, and we can also provide it in different widths perfectly matching for him and her, being 4mm, 6mm and 10mm. All the widths have a wall thickness of 2mm.